Greetings from another fantastic morning here in Sandbridge. This fall has basically been an extension of summer as every day has been glorious, and warm. Like really, really warm. This week in fact our high temperatures are expected to be in the 80’s every day! Almost like the dog days of July and August except there are not nearly as many people here at the beach, and the evenings are much cooler than the summer. We promise that we don’t have dogs all over the beach, but it is amazing about how many dog pictures we get sent to us for our Memory Monday photo contest. 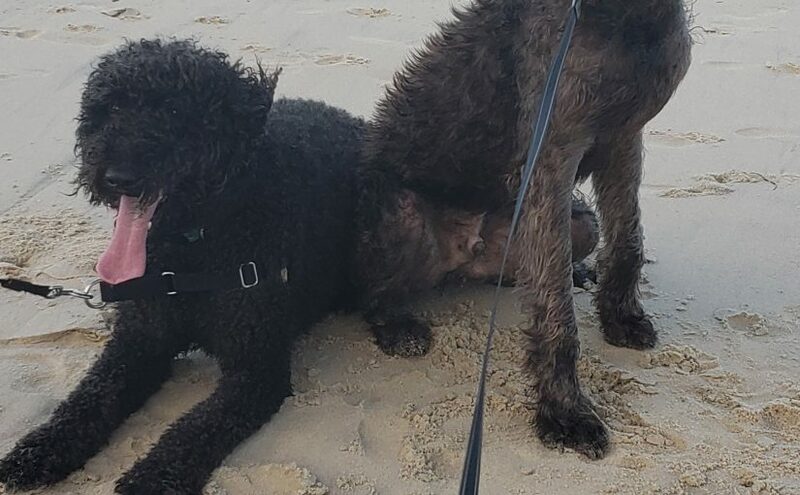 It just goes to show that dogs really enjoy a beach vacation as well as their humans do! We have properties that accept pets, as well as houses that don’t, and we have some great options available if you want to take advantage of the remarkable weather that we’ve been having lately. All of our properties have great wi-fi so you can keep up with your e-mail while you enjoy our little slice of heaven so why not consider a little beach time before the real fall weather arrives? We would love to help you arrange a getaway. When you come don’t forget to snap some pictures and send them to us so we can post them here on Memory Monday and show everyone else what a great time you had. Deal? Good morning from a picture perfect morning here in Sandbridge. The water temperature is absolutely perfect (mid-70’s), they sky is bright and almost cloudless, and the temperatures today will be in the 90’s today. What a day at the beach! Truly today is one of life’s treasures. 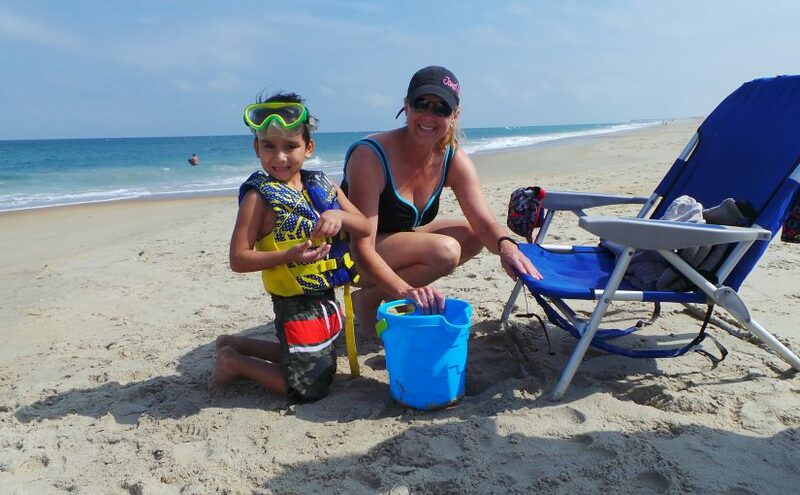 This week’s Memory Monday photo submission comes to us from Darlene Londeree of Richmond who stayed with us recently and enjoyed a wide open beach with great nephew as they discovered treasures on the beach together. We love finding ocean treasures and you can tell by the smiles on their faces that Darlene and her great nephew they feel the same. We thank Darlene for sharing her photo memory and we look forward to a great day at the beach today. If you have not made plans to come and find your own treasures keep in mind that we do have select availability on some of our properties later in the summer. We at Sandbridge Blue look forward to serving Darlene and her great nephew again soon, and we look forward to serving you too. Good Monday morning from beautiful Sandbridge Beach where summer is in full swing now and we are enjoying all the beach has to offer. On this week’s Memory Monday photo contest we share a proposal caught on camera….will you marry me? Congratulations to the happy couple. We are pleased that we could be a small part of a big memory of their stay with Blue. Weddings, and marriage proposals are popular on the beach. We’ve heard of many that are over the top in terms of planning and execution in our years of providing accommodations. There was a proposal where the groom planted a message in a bottle with a rose and a note (good thing no one else found it first), and then there was the proposal written in the sand (have to be careful of the tide washing your work away on that one), there was a plane pulling a banner with the question trailing behind (glad she didn’t have to run to the rest room as it flew by), we also heard about the proposal where a ring was hidden inside of a shell, and even a treasure chest buried in the sand with one end sticking out (he had a friend bury the box, and stand watch over it until they came within sight). The proposer asked his future bride what she thought it was as they tripped over it, and they un-buried it together. Our favorite way to say “will you marry me” however is the simple and heart felt way. On bended knee. There is just something romantic about the natural beauty of the water combined with the natural beauty of true love which is irresistible. 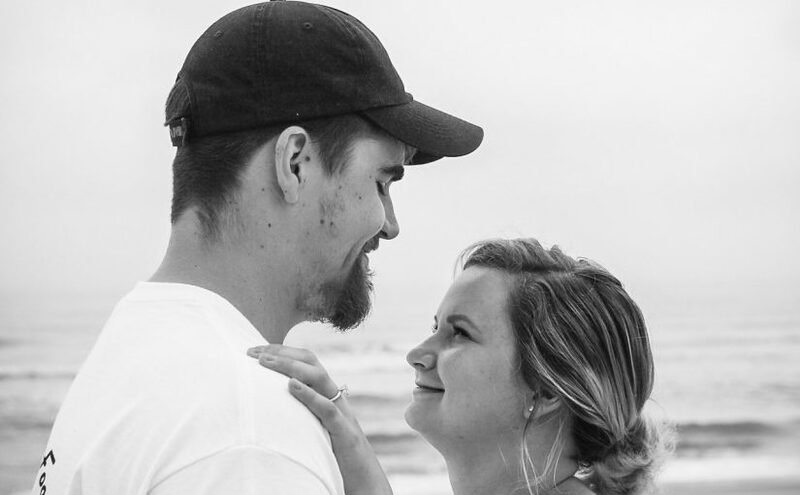 We with this couple great happiness, and we look forward to serving then and Aunt Amanda again soon. Greetings from Sandbridge on a beautiful Memorial Day. The weather has been perfect for whatever outdoor activities you wanted to do all weekend and the unofficial start of summer has arrived. With all of the fun family summer activities it is easy to forget that this isn’t just a holiday weekend where we get an extra day with our families to go to the beach, have a cook out, or catch up on rest. This past week a letter to the editor in the Virginian Pilot from a war veteran put it in great perspective for us by saying we should rename this day – Memory day. Today is not the day to honor those who have served in the military, but rather it is to remember those who have lost their lives in active military service. 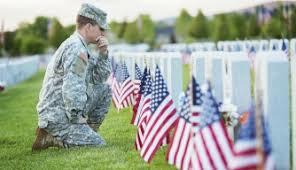 The letter to the editor goes on to say the “Memory” in Memorial Day has been ignored by too many of us who are beneficiaries of those who have sacrificed their lives for our freedom and liberty. Often we do not observe the day as it should be done, actively remembering those Americans who have paid the price for the blessings of liberty. By wearing your Memorial Day Button from the first of May until Memorial Day. By attending religious services of your choice. By participating in a “National Moment of Remembrance” at 3:00 PM local time, to pause and think upon the meaning of the day and for taps to be played where possible. By renewing a pledge to aid the widows, and orphans of our fallen dead, and to aid the disabled veterans. Greetings from a foggy Sandbridge Beach on this Monday morning. We hope you are ready for a great week just like we are here. This week for our Memory Monday photo submission we share with you a photo of a family that enjoyed a spring getaway with a traditional beach activity – Mini Golf! 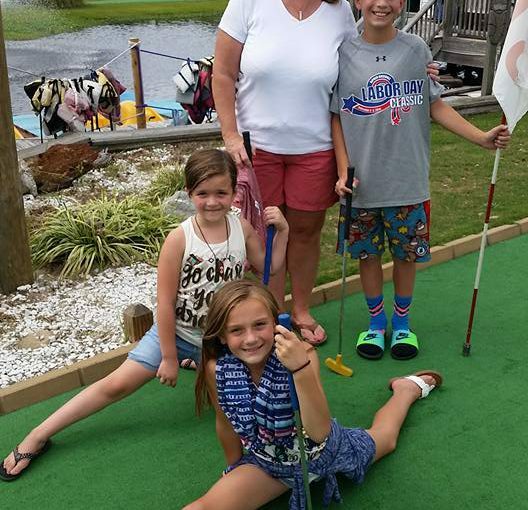 Special thanks goes to Colin of Charlottesvile, Virginia who shared this fun picture with us of his family enjoying some time on the links in Virginia Beach! That’s quite a celebration pose! Mini golf is one of the favorite family activities while on vacation. Virginia beach has several options for mini golfers with courses on General Booth boulevard, Pacific avenue and there is even one indoor mini golf course on Atlantic Avenue on the main strip in Virginia Beach. 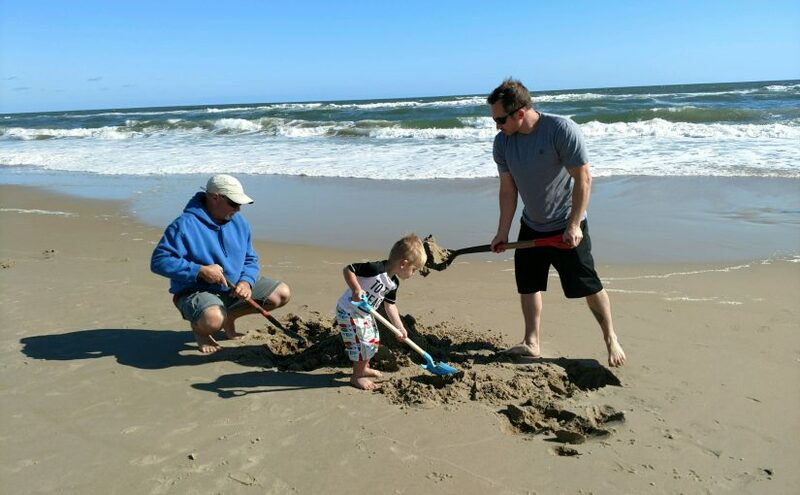 Whatever you choose to do on your family vacation we hope you have already made your plans to enjoy some time here in Sandbridge this summer. Memorial day is just a few short weeks away, and before you know it Labor day will be upon us. Take a look at the special promotional pricing that is being offered on select properties with us at Sandbridge Blue. 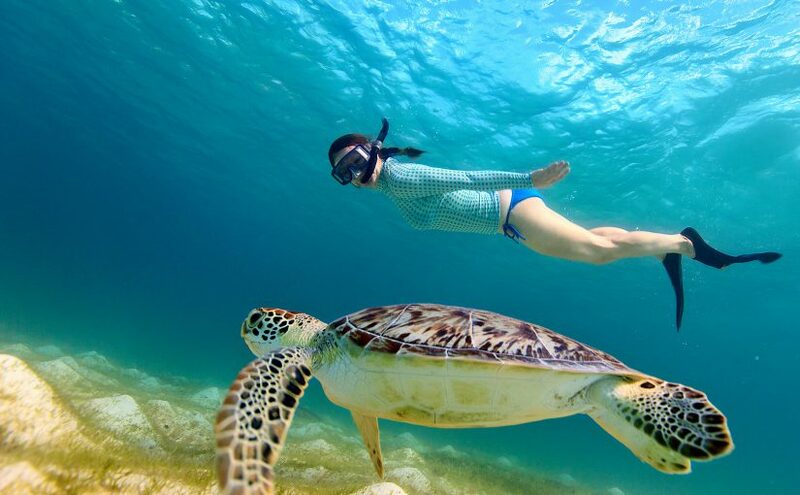 We have several excellent values available for you if you are still in the market for an affordable and relaxing beach vacation this summer. Again we thank Colin and his family for their fun photo for this week’s Memory Monday contest. We look forward to serving them, and you again in the near future. There is nothing quite as relaxing and peaceful as an early morning walk in solitude on the beach. This week’s Memory Monday photo submission reminds us of that as we have a great shot of a peaceful walk near the Little Island Fishing Pier. We hear they have been catching lots of fish off of the pier this spring. Fishing is particularly good in the morning. 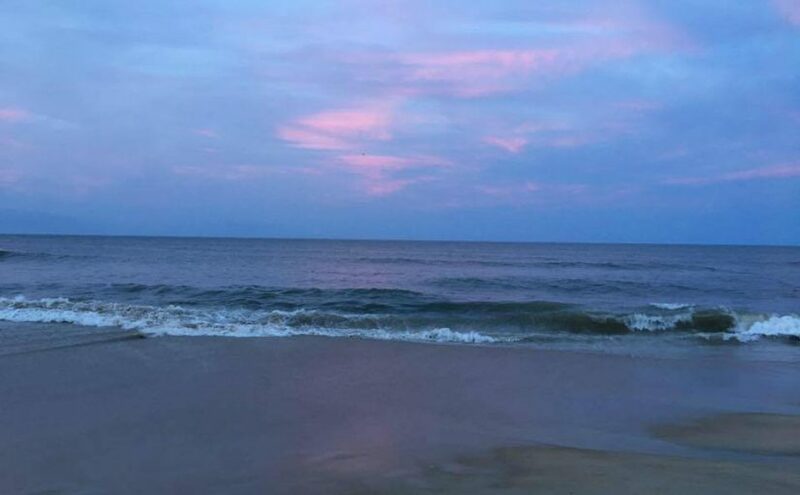 This week’s Memory Monday photo comes to us from Laurie Braccio of Earlington, Pennsylvania who stayed with Sandbridge Blue last spring and provided us this gorgeous photo. It looks like this coming week will be a good week to take some peaceful walks on the beach as the temperatures are finally reaching spring like norms. It is expected to steadily climb each day this week with highs on Wednesday in the 60’s and the 70’s on Thursday! Maybe that means we will have a warm and beautiful Easter next Sunday for early services. It seems like it may be a great time to think about a trip to Sandbridge for an early season getaway. We have many properties in our collection of vacation rentals that allow less than full week rentals. Many have hot tubs, and all have complimentary wifi service so you can stay in touch while you get away. Oh, and since we won’t see you again till next Monday we wish you and your family a very Happy Easter! We hope you had a great weekend as we welcome you back to Memory Monday. It was a good weekend here on the coast. Not only did we enjoy a weekend of being Irish, but we had our famous Shamrock Marathon weekend at the beach. Runners from all over the world came to Virginia Beach this past weekend to enjoy our hospitality, and our streets as folks ran in either the full marathon, half marathon, 8K race or otherwise. Weather cooperated for the most part (just a few morning showers yesterday, but temps were perfect for running), and a good time was had by all. We are calling this week’s Memory Monday photo Heading South, as this photo captures one of our guests watching a fishing boat just off of our coast that is obviously heading south to find some fish. 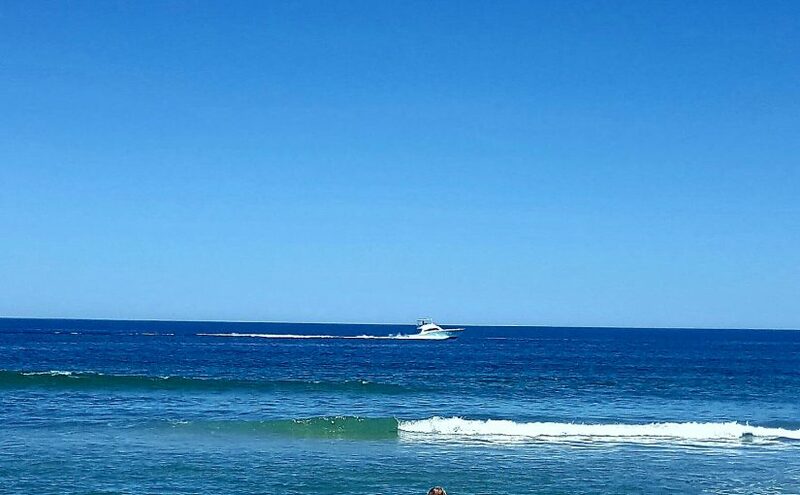 Thanks goes to Mandy Hough of Henrico, Virginia who recently stayed with Sandbridge Blue and gives us this well timed photo or her daughter Taylor down at the shoreline just as this boat passes off shore and speeding towards the fishing grounds. While it is not unheard of to see a fishing boat this close to the coast, it is quite unusual to see one this close. Just to our north a few miles is Rudee Inlet which is home to a few marinas and fishing boats. Particularly in the fall you may see fisherman heading out to find the elusive rock fish or stripers which have been known to migrate close to the shore between Virginia Beach and Corolla, NC to our south. This fisherman no doubt got a tip that the fish were to the south and he’s headed that way to find them. Thanks again Mandy for your photo memories. We look forward to serving you and your family again soon. Greetings from a blustery and cool Sandbridge Beach this morning. Temperatures dived overnight into the 40’s and winds are strong this morning as a cold front moved through overnight. It is expected to be in the 60’s before the day is over and it should be a nice remainder of the week. We can dig that! Speaking of digging…that leads us to this week’s Memory Monday photo submission. Who doesn’t enjoy heading to the beach and moving a little sand?! Thanks Jason for sharing your photo memories with us this week. Keep in mind that you too can have your photos published here each week on our Memory Monday photo submission contest. We post a photo here each week, and we select one each month randomly (no judgment here) and award the winner a $100 credit towards their next stay with us at Sandbridge Blue. Solitary and Quiet Moment: Memory Monday June 5, 2017. This weeks Memory Monday photo submission is a simple one, but one that we all would be envious to take. A solitary and quiet moment at the beach. 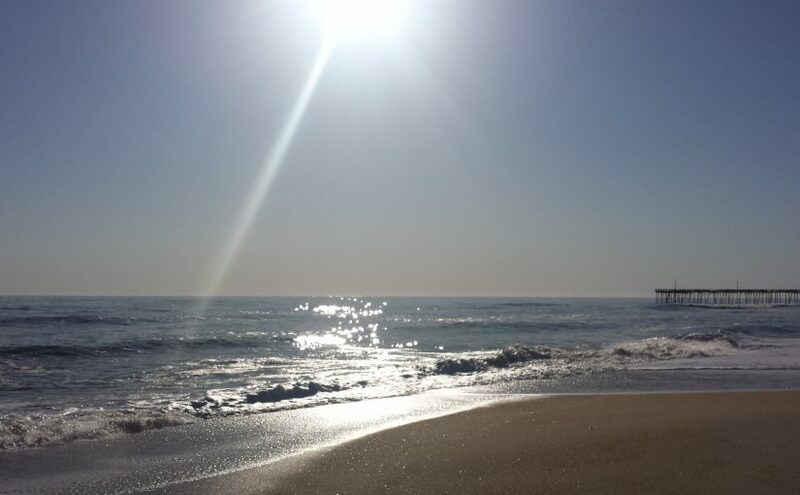 This picture was sent in by Jacquie Nguyen of Ashburn, Virginia who stayed with us in late April and snapped this shot early one morning on Sandbridge Beach. Memory Monday indeed. Thank you Jacquie for sharing this photo with us. We look forward to serving you and your family again soon.